Unfinished aluminum front oil cooler grille for 550 Spyder models. 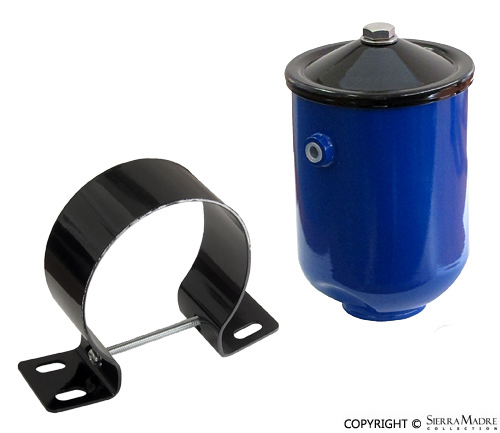 Fram style oil filter housing with bracket for all 356's and 912 models. This aftermarket version provides an affordable option, though it is not 100% correct and color differs from factory specifications. 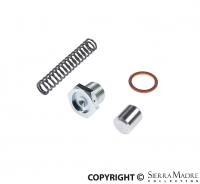 Oil pressure kit - 547-692/0. CNC machined, zinc plated and stainless steel piston. Complete with correct spring. For 356 Carrera 1500/1600 engines and 550 Spyder models. 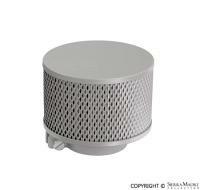 This mesh air filter cleaner is a perfect fit for the single barrel Zenith carburetors and is a direct replacement for the Solex 40/44 EIS series for all 356's models. Cleaner has one 2 5/8" opening. 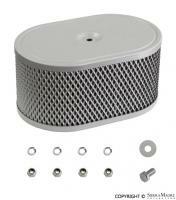 Weber mesh air cleaner for 40/44 IDF carburetors for all 356's models. Cleaner has two 1 7/8" circular openings and one 1 3/8" x 1 1/8" rectangular opening.